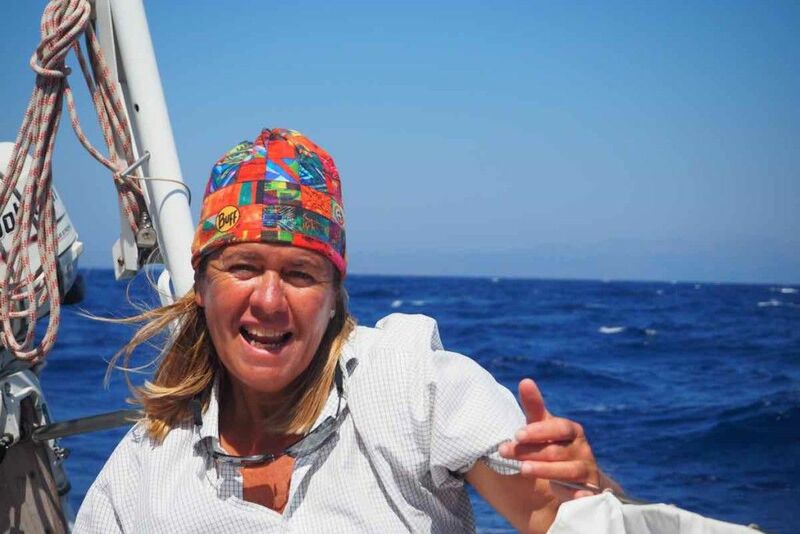 Your skipper welcomes you on board “Penne Bianche”!! My name is Brunella Tattarletti and I’m your skipper. I’m a sea, mountains, nature and open spaces enthusiast. I’m a very experienced sailor and I have been doing sailing charter cruises since 1988. In addition to sailing in the Mediterranean and the Caribbean I spent 10 years in the Pacific Ocean among Fiji Islands organizing sailing charter cruises with skipper, cabin charter or with exclusive use of the boat in the magic Yasawa Islands. I sailed between New Zealand and Australia visiting various tropical islands from French Polynesia to Tonga and Cook islands, New Caledonia and Australia. Since 2002 I have been sailing my boat “Penne Bianche”, a Grand Soleil 46 in the Mediterranean Sea: Tyrreanian, Adriatic and Aegen Sea. I choose the Greek islands as the ideal destination to carry out the skippered chartering. 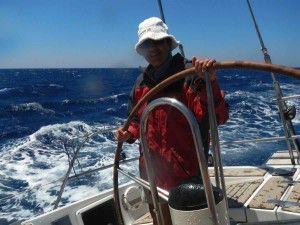 Since 2006 I have offered sailing holidays among the Greek archipelagos: Cyclades, Dodecanese, Ionian , Peloponese, Sporades and Adriatic Sea, Croatia and Turkey on request. Over the last 10 years I have developed a passionate feeling for these islands and have great knowledge of the best bays, the beautiful villages where we can moor up etc. Tell me what you want – fishing, sunbathing on a beach, hiking, learning to sail, visiting archeological sites and I will produce a customized itineray for you. 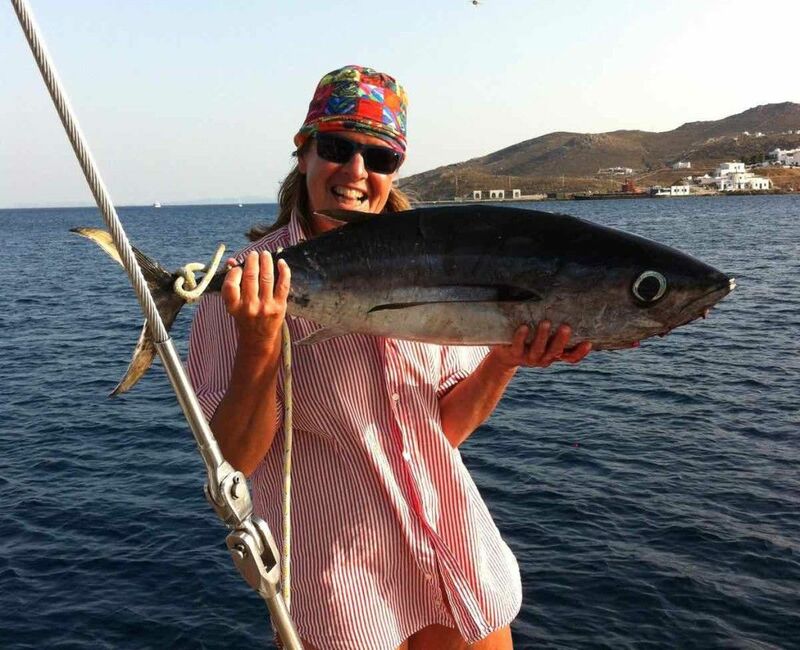 Furthermore I’m always the chef as well on board during the sailing cruises season and, in high season, another person joins me as crew to take on some of the tasks on board so we can offer a more efficient and attentive service. I dedicate special attention to one of the fundamental aspects of sailing charter holiday and which is always very appreciated from my guests: a fine dining gourmet experience. 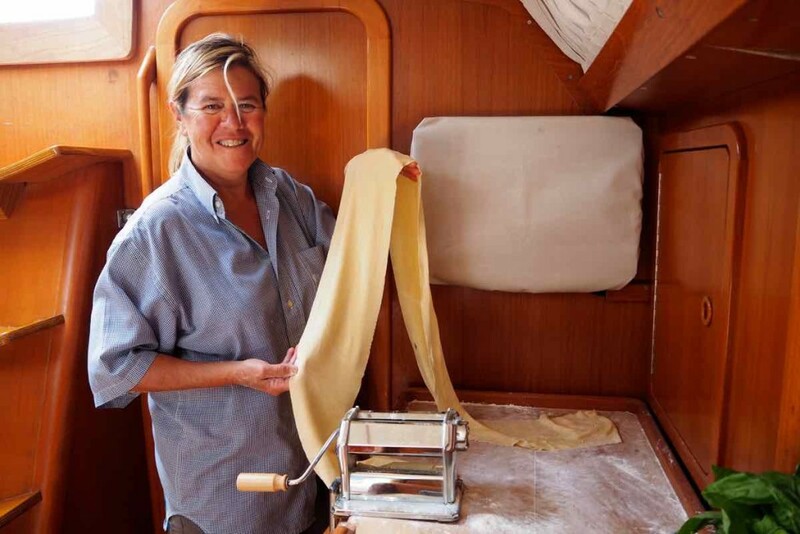 I’m careful to search out the best ingredients and always bought fresh for my dishes: typically a variety of fresh fish bought in the various markets and sometimes caught directly while sailing, selected cheeses, fruits and vegetables in abundance, daily fresh pastries and homemade pasta as well. Contact me now, sailing charter cruises 2016 with exclusive use can be customized for your chosen period and duration!